I started to write this post almost a year and a half ago and then completely forgot about it, so I thought that it would be a good idea to finish it, because I think that the history of this car is really interesting and not much is known about it. This short post (Because not much is known about this car) is the story of the mid engined sports car made by MG under British Leyland ownership. The Austin-Rover Group needed something to show at the 1985 Frankfurt Motor Show but didn’t really have anything. MG started to develop a mid engined sports car that wasn’t intended to go into production. 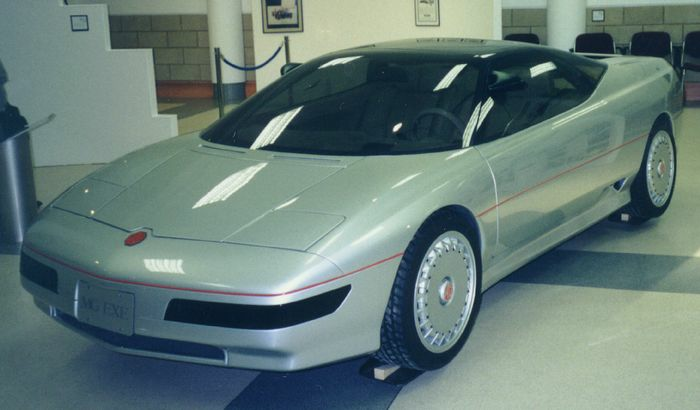 This would later become the MG EX-E. 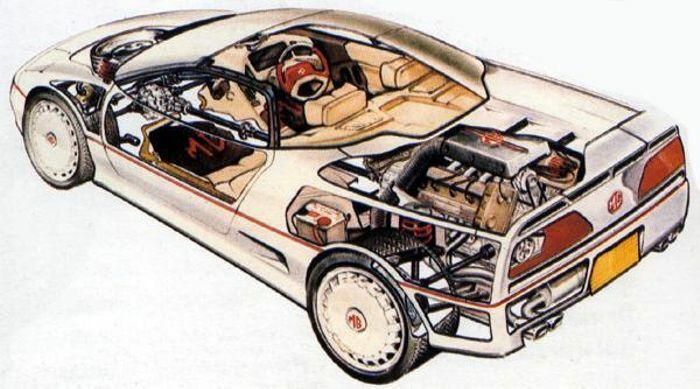 The MG EX-E was designed by Roy Axe and Gerry McGovern who used the Ferrari 308 as inspiration which personally I don’t see how the 308 was used as inspiration. 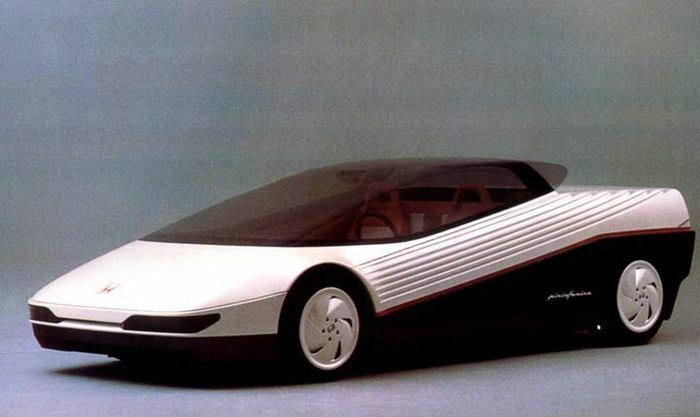 When it was shown, people said that the front looked very similar to the Honda HP-X (early NSX concept) which was shown at the London Motor Show in 1984. There might have been link between the two thanks to the Rover/Honda alliance in the 1980s and early 90s. A lot of the EX-E was taken from the road version of the MG Metro 6R4 which had just been completed. 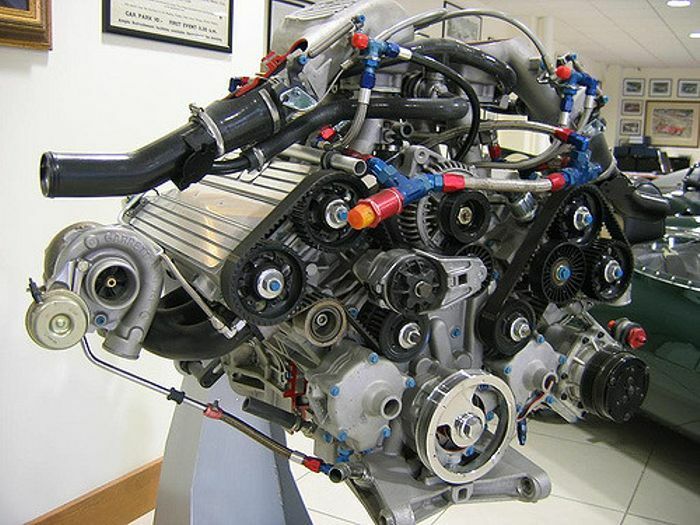 The 3.0 litre V6 that produced 250 BHP wasn’t changed at all for the EX-E, and that is because the two cars also shared a gearbox, chassis and suspension, although that had to be slightly modified for the EX-E as all the components were set up for a rally car, not a sports car made to stick to the tarmac. 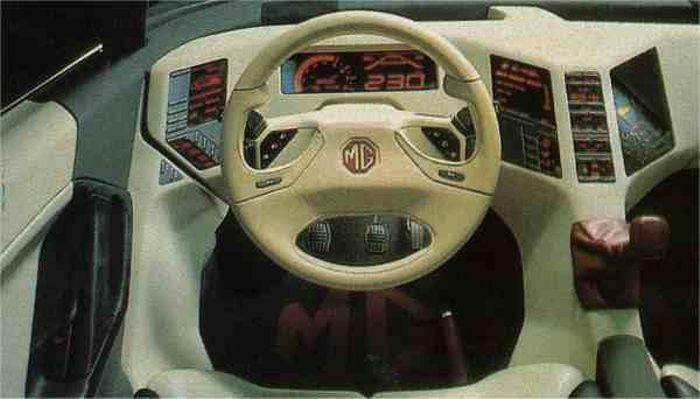 The interior was made to show what MG cars were going to be like in the future. The dashboard was designed to make the car feel like single seat race car. It also included the digital readout that the Austin Montego had. It’s amazing that this car was mad by the same company that had only just ended production on the MG B only five year prior. The engine did eventually find it’s way into a supercar. 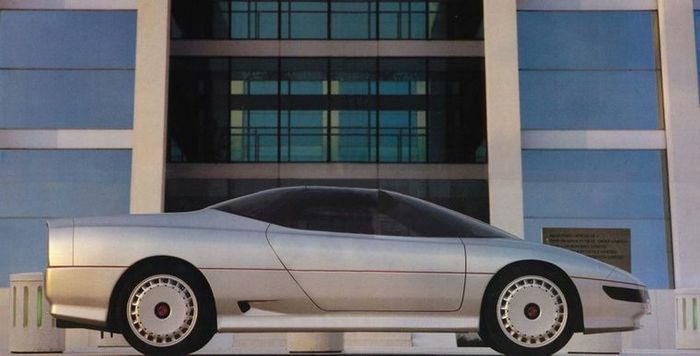 Jaguar used a twin turbo version of that V6 in the XJ220.